Top guitar players and metal-cutting experts share a common passion - The search for the last µ and for the perfect sound. And that's what they find at Schaller, a company that produces mechanical components of absolute precision for electric guitars. To achieve this precision, Schaller relies on CNC automatic lathes from Swiss manufacturer Tornos. Schaller GmbH is a German manufacturer of hardware for musical instruments and is headquartered in Postbauer-Heng near Nuremberg. It develops, produces, markets and sells machine heads, bridges, vibrato systems (so-called tremolos), strap locks and other guitar accessories on a global scale. The company's roots date back to 1945 when it was founded as a radio shop by Helmut Schaller in Feucht near Nuremberg. In the 1950s, the in-house development and production of loudspeakers and amplifiers for the music industry evolved from the initial radio repair activities under the new name of Schaller Electronic. The product range was then expanded to reverberators, pedals and distortion pedals. In the 1960s, Schaller's portfolio was further expanded to include tremolos, bridges and machine heads. The M6 machine head was the world's first fully enclosed and self-locking high-precision tuning machine. In 1968, the company Schaller moved from Feucht to Postbauer-Heng where a completely new production facility was built for the company to be able to keep pace with the increasing demand. In the early 1980s, the production of loudspeakers, amplifiers and reverberators was stopped and the company began to focus exclusively on the manufacture of mechanical components. In 1981, Schaller developed a totally new product and had it patented. 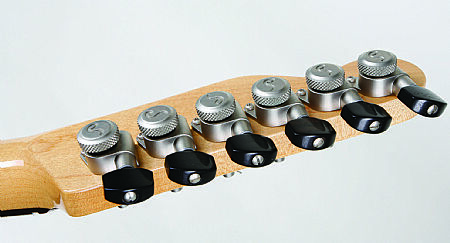 This product – the security lock – has revolutionised the connection between guitar and strap. Today, it is Schaller's top-selling product. In 2009, Dr. Lars Bünning took the helm as managing partner and geared the company towards the new strategy ‘Quality, Innovation & Service’. The market for musical instruments and appropriate accessories is one of the rather tough ones. On the one hand, it very much depends on economic trends and, on the other hand the number of people playing an instrument is constantly decreasing. On top of that, suppliers from the Far East have been increasingly swamping the market with cheap instruments, forcing established suppliers to save cost with the components. Deliberately, Schaller decided not to follow this trend and, as a German manufacturer, focuses solely on quality and precision at a reasonable price. "Instruments below €500 Euros are definitely not our cup of tea," the Managing Partner Dr. Lars Bünning emphasizes with great self-confidence. "For those guitar players who attach importance to perfect sound and appreciate quality, we are the first choice." It is not by chance that some international stars play on guitars with Schaller machine heads. Nevertheless, Schaller obviously has to compete with other manufacturers and take this into consideration for pricing. Against this backdrop, intelligent production management with appropriate cost control is mandatory. Schaller exclusively manufactures in Germany and its 80 employees cover the full portfolio from development, engineering, production and assembly to quality inspection as well as marketing and sales. As regards the quality standards, Schaller rather considers itself to be a manufacture, while a look at the output reveals that the company actually is a highly efficient manufacturing enterprise. In the online shop, the customer will find about 19,000 products and 160 end products that consist of up to 500 individual parts having 8 different surfaces each. The fact that Schaller supplies more than 1.5 million products per year is a testament to factory manager Dominik Weininger and his team. The company aims at supplying its customers within six weeks and this requires rigorous production planning that leaves just enough room for flexibility. A suitable machine inventory that enables precise and highly productive manufacturing is an indispensable prerequisite for this. 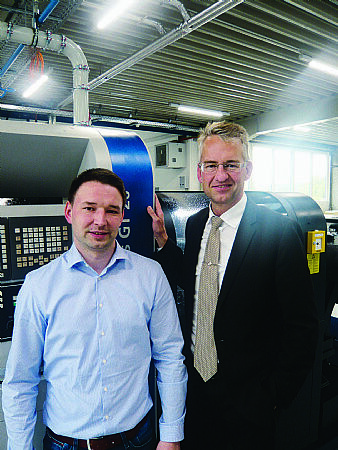 That's why Schaller purchased its first Tornos machine recently. 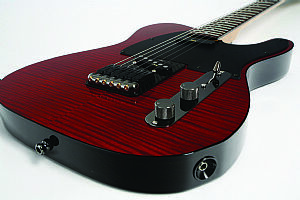 In 1981, Schaller developed and patented the legendary security locks, revolutionising the connection between guitar and strap. In 2018, Schaller presents the next generation, selling over 1000 pieces per day. The new S-Locks consist of unique one-piece strap buttons made of toughest steel, suitable locks with ergonomic design for each leather strap as well as patent-registered locknuts with triple security architecture. 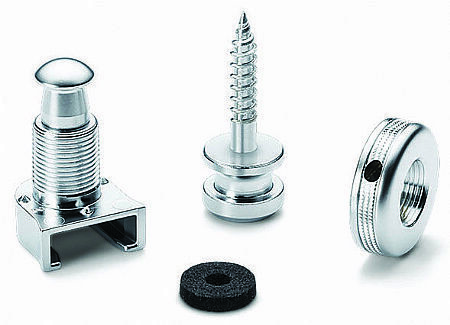 By assembling these three parts, the Schaller employees produce the perfect S lock. The strap button is turned in one piece and can be mounted most easily using a 3mm Allen key. The lock consists of a re-designed pin made of stainless steel and has a longer thread for thicker guitar straps. The lock wheel impresses with a 3-level security concept. The special patent-registered thread guarantees a safe grip and can be tightened and controlled even without using a tool. A 2-hole mount for 2mm Allen key or screw driver enables an even tighter grip. A slotted set screw with flat point (2.5 x 5 mm) made of stainless steel makes sure the connection can be easily loosened. The characteristic feature of this innovation is absolute silence. The three components mesh with such a precision that there is absolutely no chattering noise. This precision demand is why Dr. Lars Bünning and Dominik Weininger extensively browsed the market and opted for Tornos. The company possesses two Swiss GT13 and two Swiss DT26 machines. For Schaller, the advanced technical features of the GT 13 and its efficient 6-axis kinematics are the ideal prerequisites to meet all challenges associated with the production process. The Swiss GT13 is intended for diameters up to 13mm and has six linear axes and two C-axes. These axes can be equipped with up to 30 tools, 12 of them being driven tools. Thanks to the intuitive user interface Tornos Machine Interface (TMI) and the TISIS programming system, ISO programming of the machine is a breeze. Thus, long downtimes are no longer an issue. With its wide assortment of tools, the Swiss GT13 enables the complex S-Lock components to be produced with ease. The modular tool position enables state-of-the-art applications to be performed without major adjustment problems and thus make processes such as thread whirling, polygon milling and angular milling very easy. The Swiss DT26 boasts a tried and tested kinematic structure with five linear axes. With its spindles, that can reach a power of over 10.5kW, the Swiss DT 26 proves to be an extremely efficient means of production. The Swiss DT 26 is no longer restricted to mere turning and milling tasks, but can be equipped with various tool holders. Schaller is well-equipped for a wide variety of requirements. By default, the machine is equipped with four radial drills for main machining. This provides Schaller with the required flexibility. The latter is further increased by the possibility of using a thread whirling head or a polygon milling head. With these two devices, the Swiss DT26 can machine even the screws of the buttons. It can also be used for face milling without any problems. The thread whirling head can be inclined by +/-15° and achieves speeds of up to 5000rpm for a maximum machining diameter of 10mm whereas the polygon milling head rotates at a maximum speed of 5000rpm, while its diameter is 80mm. The Tornos machines are running 24 hours a day and five days a week with absolute reliability and, overnight, they are largely used in unmanned operation. The machines are highly appreciated by the employees working in the turning shop and according to both interlocutors; this is due to the machines' ease of programming and operation. Two further aspects that Dominik Weininger regards as positive are the extremely short cycle times and the high responsiveness of the Tornos Service. Dr. Bünning concludes: "In a high-wage country like Germany, there is no chance for us to win the price war. We will only remain competitive if we manufacture innovative products of highest precision and continuously enhance our production processes." With Tornos being its partner, the company sees itself excellently positioned to meet these challenges and will continue to inspire guitar players all over the world. Get in touch with us today to discuss what we can do for you – we would like to hear from you!